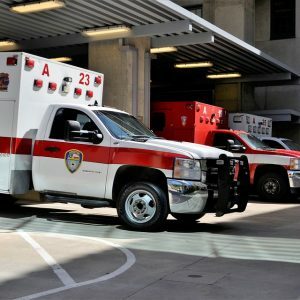 Granbury, TX (March 21, 2019) – On March 20, two workers were involved in a workplace accident at Landmark Equipment, which is located near the 2400 Block of Weatherford Highway. According to police, Vikunt Chand, 46, of Arlington and Robert Goldberg, 77, of Granbury, were working on a skid loader at a Cleburne tractor-equipment store when the machinery fell and crushed them. Other employees were on lunch break at the time. One employee heard a noise and ran inside to give the men CPR. Both Chand and Goldberg were transported to Texas Health Harris Methodist Hospital in Cleburne, but both died as the result of blunt-force injuries. Our deepest condolences go out to the Chand and Goldberg families as they deal with this tragic loss. In 2016, over 545 individuals sustained fatal injuries while on the job. Unfortunately, no matter how safe the workplace is, there is no location that is without risks for those who work there. Workplace fatalities can have a very damaging impact on surviving family members. Quite often, families lose breadwinners and are forced to deal with overwhelming financial burdens. Thankfully, Texas wrongful death attorneys at the Benton Law Firm can help surviving family members obtain compensation for funeral expenses, lost wages, and various other damages resulting from the incident. Although we understand that compensation will not replace the lives of those lost, it can help families alleviate some of the financial burdens they face consequent to a wrongful death incident. If your loved one died as the result of a workplace incident, contact a Texas injury accident attorney at the Benton Law Firm at (214) 219-4878 to schedule a free consultation as soon as possible.